•Mens and Womens Multi-Purpose Gloves for Riding, Cycling, Driving, Tactical, Shooting, Gym, Fitness, Ski and Everyday use. Use in winter. Have fleece inside, keep warm. 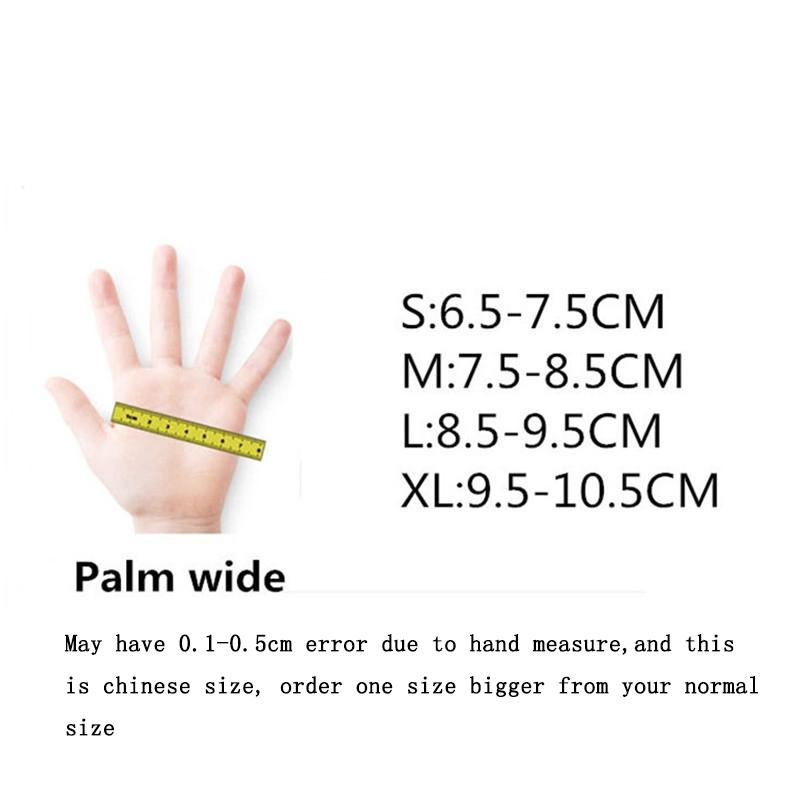 Gloves tend to run a bit smaller than the average glove with the athletic fit, so you may want to order a size larger if you prefer a looser fit. •Multi-Purpose athletic use for running, cycling, hiking, driving, and other outdoor sports. Absorbent and quick-drying comfort lining, multi-directional stretch for active use, anti-bacterial treatment to eliminate odor. •Function: Windproof gloves, Can touch screen,iPhone,iPad, ATM and so on, use for outdoor, bicycle, cycling, hiking, motorcycle, skiing, driving car, amazing product which can use for many places.